The removal of invasive rhododendron, which was swamping Arrowsmith Coppice and smothering native plants and trees, has created space for the regeneration of wildlife such as heather and purple moor grass, and allowed better access for local people. Conservation work started in September 2014. 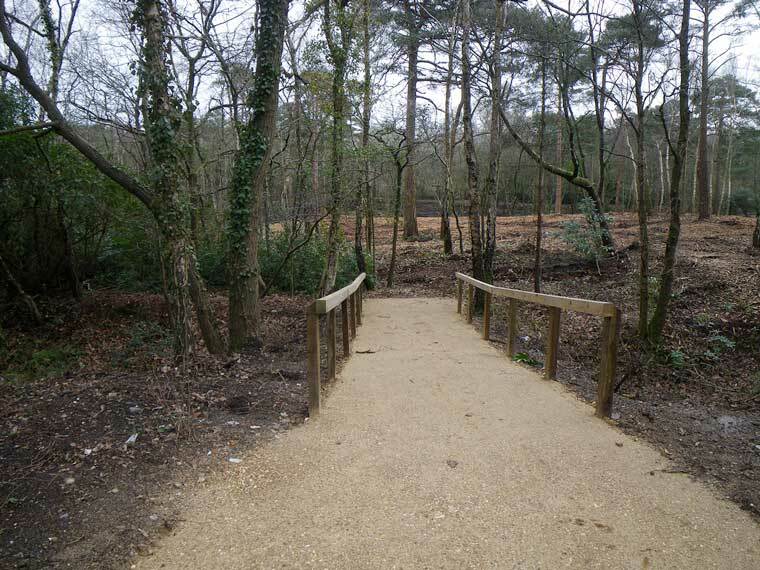 It was carried out by staff and volunteers from Borough of Poole and Dorset Wildlife Trust (DWT) as part of the Great Heath Living Landscape project, with a Community Payback group, and then followed with volunteer work from other groups. Other wildlife sighted in the area include dragonflies, grey wagtail, butterflies, and roe deer. Work is still ongoing, but the majority should be finished next March. Clearance by volunteers in more sensitive areas will continue for a few more years. There will also be a requirement for spraying regrowth of the rhododendron that has already been cleared to prevent re-growth. Find out more about Arrowsmith Coppice at www.pooleprojects.net/great-heath and the Great Heath Project at: www.thegreatheath.org.